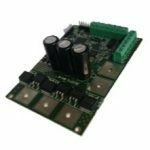 Broadly speaking, we offer four routes to the best motor controller for your project. This approach has evolved out of our experience of designing, manufacturing, programming and installing a wide range of motor control electronics. We understand that you want to get the best value possible in the shortest lead time possible and that’s why we’ve taken the approach we have. The vast majority of our stock range is highly flexible and fully programmable. Whether it be a stepper motor controller that can be custom programmed with an HMI to get your project moving or a brushless DC motor controller that can operate in 2 or 4 quadrant mode and interface with a range of communications protocols, our aim is the same. We want to deliver powerful, well designed and flexible hardware that is designed and manufactured to rigorous quality standards and can enable you to meet the key requirements that your projects demand. The first of these stages is to take a stock motor controller with a standard programme installed. The second is to customise the firmware on the controller such that it delivers the exact performance you need. This can be as simple as limiting the speed range on the potentiometer output. It can be as complex as re-writing the entire firmware for a controller such as the ZD10LCD stepper motor controller. 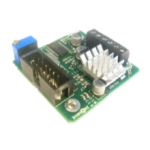 If re-working the programme on a controller isn’t enough to get what you need then we can often quickly add what you need via a plugin board or possibly modifying a standard controller. This is advantageous in the sense that it is almost always quicker and lower cost than a full bespoke design. If your requirement is so stringent that we are unable to meet it with our normal range then we can offer a complete bespoke design service. Our stock range of UK designed and manufactured motor controllers are available to buy online in a range of standard configurations. 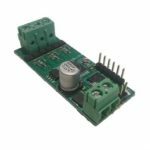 Whether it’s a basic stepper motor controller you need or the option to control via UART we have a range of options to get you started. 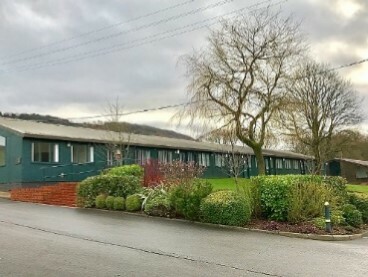 If you can’t find what you need or aren’t sure on what’s best you can always give us a call and we’d be happy to help. Don’t forget we can optimise sensorless brushless motor controllers to your specific motor at no extra cost. Simply buy the controller you need, send us the motor and we’ll send you the fully optimised controller back (with your motor of course!) Find out more about optimised sensorless BLDC motor controllers here. Our controllers with a customised programme specifically for you. Have a look at our stock range of motor controllers and then request a custom programme for them. Simply tell us the features you need using our easy online quote request form and we’ll get back to you within 24 hours. Your request could be as simple as a specific speed range or as complicated as you need it to be. If you’d like to see some examples of how this can work then please have a look at our applications and case studies page if you’d like to see some typical examples. Alternatively you can find out more about the process and what’s involved by clicking on the button below . Request a quick modification to an existing design (for example to change the power output configuration) or add a plugin board to give you the features you need. Whether it’s a simple user interface board or a communications ‘translator’ board to enable interfacing with a range of protocols we can help. Modified hardware can save time and money and get your project moving fast. To find out more about what’s involved in these types of projects please click here. OPTION 4 – When everything else simply won’t do – a motor controller bespoke to you. Quite literally, you tell us what you need and we will work with you to develop the specification before developing the required board. Our expert team will help you make the right choices, offering informed support and guidance all the way. Once the design is completed we can supply the boards pre-programmed and ready to go saving you time and hassle. A peristaltic pump manufacturer requires a stepper motor controller that can operate with a simple pot input or a 0-5V analogue signal input. There are a number of options on the market but they need to ensure that the speed range of the pot keeps the stepper motor between 10 and 150rpm. This is possible using a range of ‘off the shelf’ products but fixing the speed range is either quite difficult or the controller quite expensive. At Zikodrive the customer simply finds the stepper motor controller they need – requests a custom programme to set the speed range and inputs – and we then ship it out pre-programmed and ready to go. 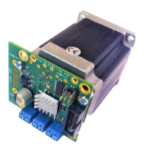 A customer requires 1000+ units/year of a small sensorless brushless motor controller – the ZDBL15 looks perfect but the price is slightly above what they need and tests show they don’t need all the current handling capacity of the ZDBL15. In this example, we work with the customer to develop their specification. We then propose a modified version of the ZDBL15 which reduces the cost for the customer. By working closely with the customer to understand their exact requirements we are able to produce a cost effective, reliable motor controller quickly and cost effectively at a price that works for them. In this example the customer requires a highly bespoke controller for a specific application. In an ideal situation it is also the case that the controller will be able to carry out other important tasks including directly controlling a solenoid and using safety features such as current monitoring and temperature monitoring to ensure safety and monitor performance. As a result of our ongoing experience developing motor controllers we have a headstart in this development, getting the motor drive running quickly. We then work to an exacting customer specification to add the remaining features, ensuring long lasting reliable performance and control. In practice, many customers do not simply pick one of the four options we offer but may start at stage one and finish in stage four. This carefully staged, flexible approach, enables them to explore new ideas and possibilities without committing huge amounts of time or finance to a project. By starting out in this way it is possible to explore certain options or functions in a way that minimises risk and enables you to work out what you need and what you don’t need. In practice, we’ve worked with a large range of customers who thought they had a very clear idea of what they wanted until they started on the journey of discovery. Our aim is always to work closely with you to understand what you ened and what your primary and secondary goals are. We’ll use our experience to advise on the range of options you have, depending on your timescales and technical requirements.